History has shown that every time the economy has gone through a crisis, it has bounced back. The reality is that the economy is not as fragile as many economists think it is. 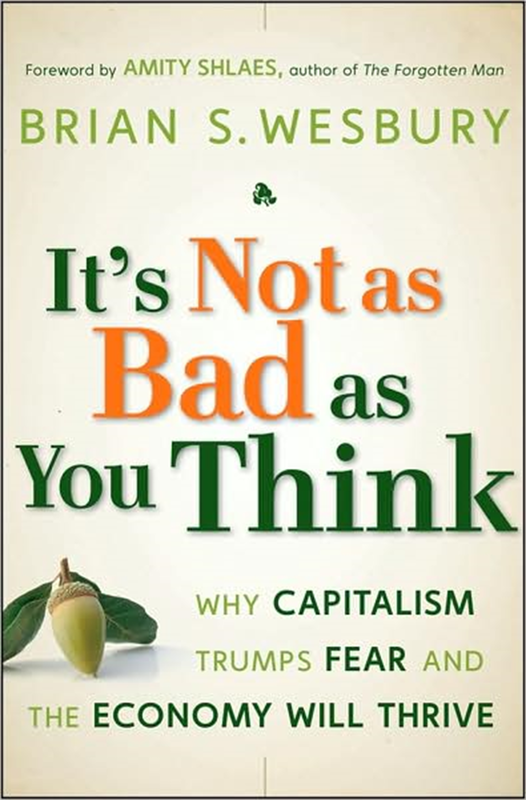 In our summary of It's Not as Bad as You Think: Why Capitalism Trumps Fear and the Economy Will Thrive, Brian S. Wesbury explains why the future is much brighter than you've been led to believe. Wesbury is Chief Economist at First Trust Advisors LP, a financial services firm with more than $23 billion under management. He is ranked as one of the nation's top economic forecasters by the Wall Street Journal and USA Today. It's worth noting that Wesbury is not someone who is always blindly optimistic about the economy. In 2000, at the peak of the dot-com bull market, he was one of only six out of 54 economists in the Wall Street Journal's forecasting poll who predicted a recession for 2001. The recession happened and he ended up the number one forecaster for 2001. Therefore, his prediction that a V-shaped recovery is coming is based on solid analysis, not empty optimism. In the next 40 minutes, you will learn how you can use a more realistic understanding of the economy to prosper, both now and in the future.